Sundays were made for fun. Lots of it. 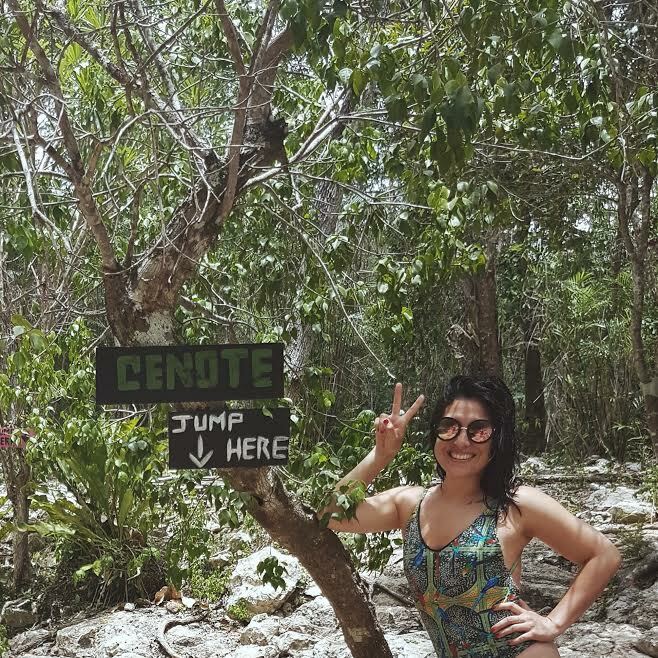 I try to fit in as many fun things as possible on the weekends, for fear of having to wait an entire five days for the next adventure (though it sometimes comes sooner than that). Below is a list of things I've done and would do again on Sundays, or Saturdays, or hooky days in LA. 1. Hike Eaton Canyon (after having done Runyon, Griffith, Beachwood, Lake Hollywood and Escondido Falls in Malibu, Eaton is my favorite so far). 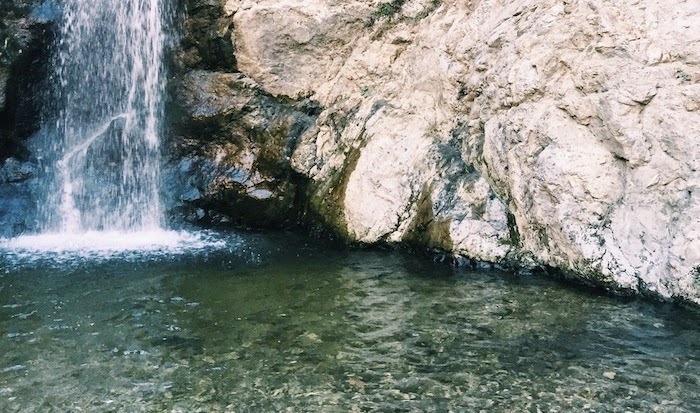 Absolutely take a water bottle, and a bikini in case you're brave enough to get in the freaking freezing falls for a photo opp. 2. Break for a macchiato, cappuccino or latte at Dinosaur Coffee in Silver Lake. 3. Beach yoga, city yoga, Runyon Canyon yoga--all a great way to start your day, especially if classes are free or donation-based. 4. Boozy brunch at the Standard in Hollywood; also, you can float around the hotel's pool in an inner tube and hope for a tan. 5. 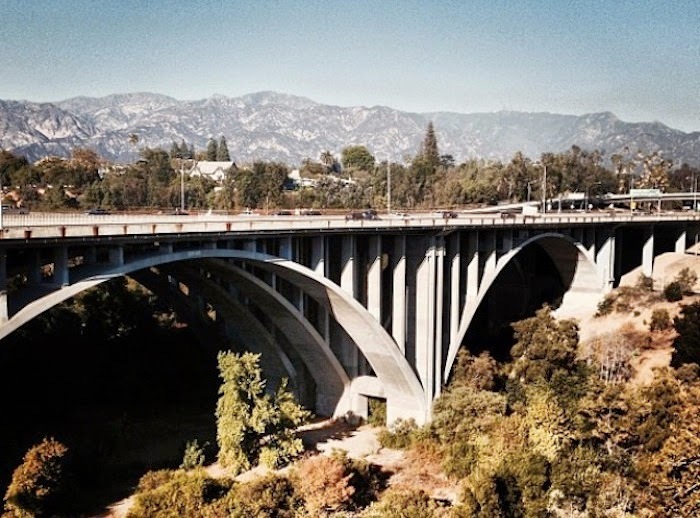 Walk the Colorado Street Bridge in Pasadena, also known as the Suicide bridge. Something like 100 people have jumped off this bridge since it was built in 1919. 6. Grab some Japanese mags at Kinokuniya in Little Tokyo and hand rolls at Kazu Nori in DTLA. 7. As for travel books/mags, Book Soup in West Hollywood has the most diverse collection I've encountered, and I've been to a good amount of bookstores; it's easy to lose track of time in there, making lists and daydreaming about where to go next. 8. The Sunday night eggplant parm special at Little Dom's is the best eggplant I've ever had in all my life. 9. 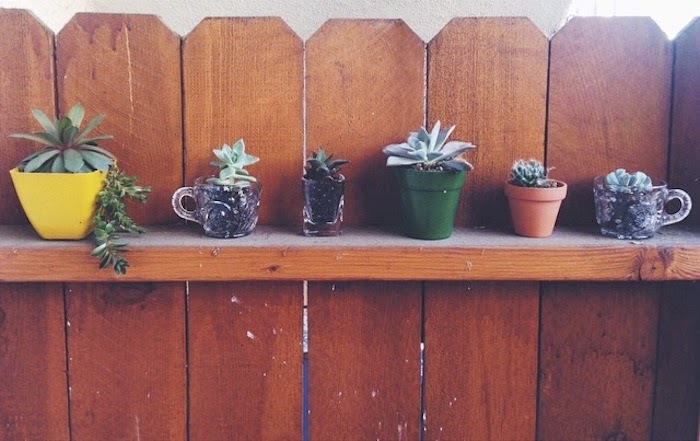 Pick up $1 succulents at Melrose Trading Post. 10. Then find some teacups and/or shot glasses to put them in. 11. Buy a bunch of stuff you don't need but really, really love (third weekend of every month) at Artists & Fleas, a New York transplant flea market in the Arts District of DTLA. 12. Motown on Mondays at Short Stop in Echo Park (actually a Monday thing, not a Sunday thing, but you can dream about it/plan your outfit/practice your dance moves on Sunday). 13. Spend the day on Abbott Kinney (my way: coffee/pastries at GTA, try on sunglasses at Rag & Bone, spray and sniff DS & Durga scents at Steven Alan, get wine and snacks at Zinque). 14. Grab a sandwich and some veggies at Malibu Country Mart. 15. 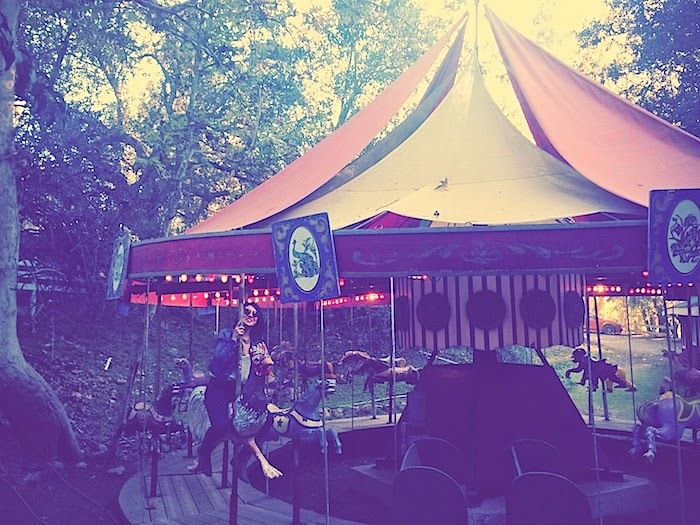 Wreak havoc on the defunct merry-go-round at the Malibu Cafe at Calamigos Ranch. 16. Then take that sandwich and those veggies with you to Malibu Wines for a wine tasting and a picnic. 17. Or eat organic on the pier at Malibu Farm. 18. Take a scenic drive through Topanga Canyon and stop for shopping at Hidden Treasures (thrifted goods, Halloween costumes, weird trinkets) and Heyoka Hideout (leather goods, denim shorts, tarot cards). 19. 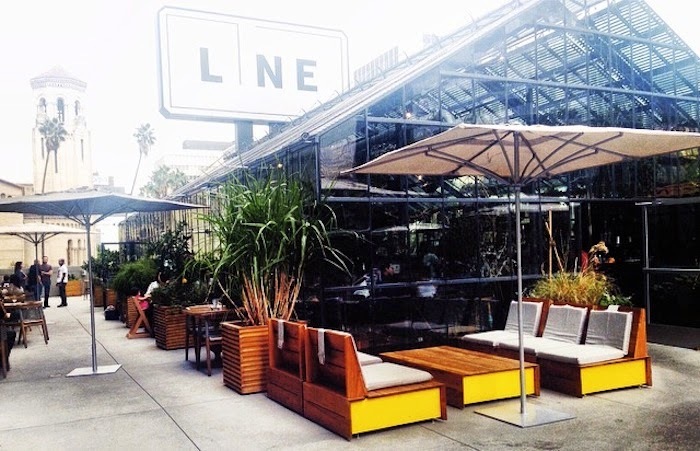 Eat veggies, drink gin and juice, hang while the sun goes down at the Line Hotel's rooftop greenhouse restaurant, Commissary, in Koreatown. 20. Instead of gin, you could chug some local beers at Golden Road. 21. Pick your neighbors flowers and stick them in a vase at home (be more discreet about this one maybe and wait until the sun goes down). 22. Walk up and down one of LA's secret stairs--if you can find one, it's a good workout for your booty. 23. 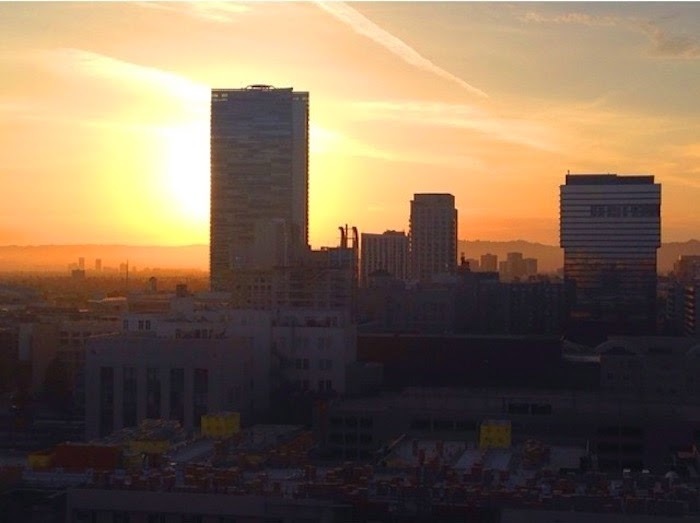 Watch the sun set from the top of the Ace Hotel. 24. I'm not a huge fan of the mall but if you must go, a great open-air option is the Americana in Glendale. There's also the Grove. 25. Take a tram tour around the camellia trees, rosebushes, cherry trees at Descanso Gardens--depending on when you visit, certain flowers/trees may or may not be in bloom. 26. In the rare, rare instance that it does rain, I love the Annenberg Space for Photography. Admission is free and exhibits include pictures, videos, and books. 27. In the rarer instance that you feel like doing absolutely nothing, Baskin Robbins Rainbow Sherbet and Swingers in bed is always an acceptable Sunday alternative.